-�B� models for air extract. -�A� models for air supply. Base manufactured from galvanized sheet steel. Cowl manufactured from spun aluminium. The impellers for models 315 to 400 are manufactured from one piece injection moulded plastic, reinforced with chemical anchored fibreglass for additional strength. 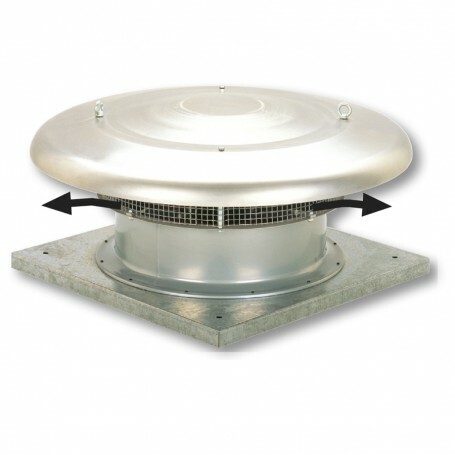 Models 450 to 1000 incorporate separate plastic blades locked within a die cast aluminium hub. 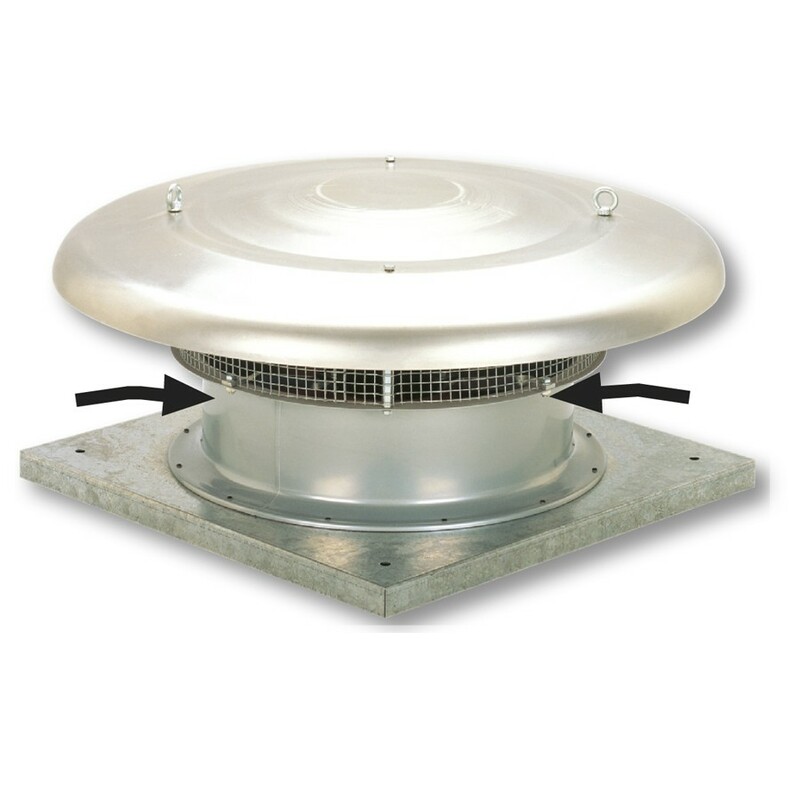 Available, depending upon the model, with single or three phase motors in 4, 6, 8 or 4/8 poles. All motors are IP65 (1) Class F (2) with thermal protection (3) and ball bearings greased for life. -Single phase 230V-50Hz (Capacitor located inside the wiring terminal box). All single phase models are speed controllable by voltage except HCTB/4- 560, HCTB/4-630. All three phase models are speed controllable by autotransformer, except models HCTT/4- 560, HCTT/4-630, � 710 to 1000. Three phase models, 1 speed motor, are speed controllable by inverter. (1) 800 to 1000 models are IP55. (2) Air stream temperature limits -40�C to +70�C (except models 800 to 1000 suitable for usage in environments from -20�C to 40�C. (3) 800 to 1000 models are not equipped with thermal protection. 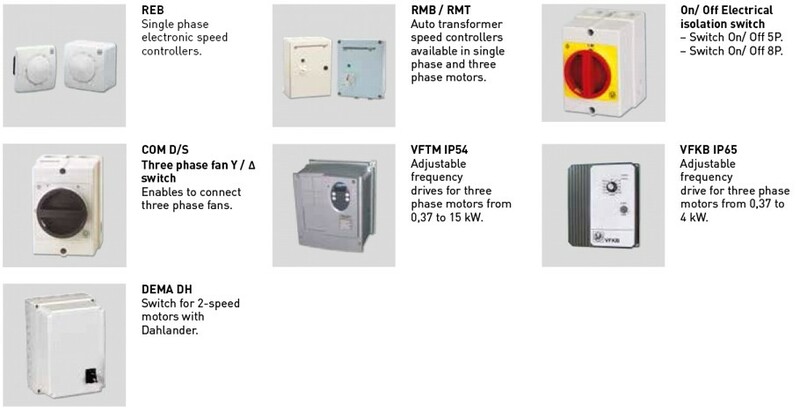 ATEX versions available for 3 phase models. For ambient working temperatures from -20�C to +40�C. 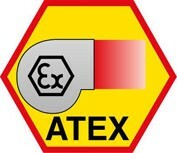 To select HXTT ATEX refer to performance data or EASYVENT. Base supports to facilitate installation. Ensuring the long life of the fan.